The Ebédfutár Kft. –originally the Eisen-Baum Kft.-which was established in Miskolc, has been working successfully at the Hungarian market since 1995. 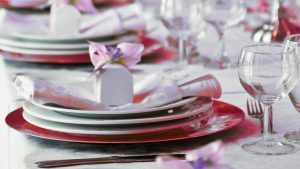 The aim of our company is to offer professional catering services for those, who find it essential to provide their employees and customers modern, fast and quality services. Over the years with he dinamic market work, diligence and high-quality services our company has become the leader of its field. Ebédfutár Kft. is the only catering provider business in the country which has ownership over its vending machines and which rans its own kitchens. When providing services, we are not employing subcontractors. From 2002 our company is the partner of the cafe+co – The European First Class Vending Concept. This Europe-wide-known program for the automat fillers has been worked out by the Vending Holding’s developement department. The café+co International Holding Eurpe is known in 12 countries as the one offering quality drinks at work. The business policy of the Ebédfutár Kft. is to provide quality food and drinks on a competitive price. Since 2000, our company has benn using the HACCP food safety system, and since 2009 the ISO 9001 system to be able to provide the best quality of services to their costumers. Our colleagues are skilled, have extensive experience and are up to date in their work. With our staff we regularly participate int he national gastronomy exhibitions, at major events we compite with famous restaurants’ chefs.